There are 7756 listings today! 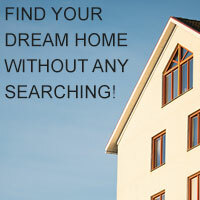 I look forward to helping you build or find your dream home! I am a proud Idaho Native, that has resided in the greater Boise area for over 40 years. I have never moved away from the Treasure Valley because I never felt the need to go looking for 'something else". Idaho has a quality of life that is second to none! That's reaffirmed everyday when you meet people who are moving to Idaho "just because" they came to visit and loved it, or just heard it was great! I currently live in Star with my husband of 25+ years, and our children.